Gemma’s estate agency career started in 2001 when she was just 17. 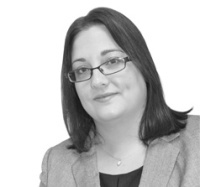 She specialises in residential sales and lettings and overseas the general day to day running of the business. She offers practical and honest advice and deals with property of all styles and in all price ranges of the market. She is particularly good at identifying lucrative buy to let investments, assessing new build / plot development opportunities and advising on property improvements / extensions. She is regularly praised by her clients for being approachable, enthusiastic and committed and she involves herself in all stages of a property transaction to ensure that high standards and efficiency are maintained for clients at all times. When not at work, she enjoys spending time with the family, playing golf, supporting Tonbridge Angels football club and relaxing with a glass of wine or two!